If you're planning on road tripping around the Yucatan Peninsula, you'll likely fly into Cancun and rent a car from there. Before you do, be sure you're familiar with the differences between renting a car in Mexico versus in the U.S. The process of renting a car in Mexico is similar to renting one in the United States. You'll find most of the major U.S. brands—Hertz, Avis, Alamo, Budget, Thrifty, and so on—as well as local Mexican rental car companies right at the airport in Cancun. The majority of the rental offices are located separate from the terminals, but they offer free shuttles. Keep an eye out for signage. You can also take a taxi to Tulum, Playa del Carmen, and other sites in the Riviera Maya and rent cars there, but do note that the taxi fare might be quite expensive. It's likely cheaper overall to rent directly from the airport in Cancun. To rent a car, you'll need a major credit card, driver's license, and passport. As in the U.S., drivers under the age of 25 will pay extra for a rental, and you'll also pay a surcharge for automatic cars versus manual cars, plus another surcharge of roughly 10 percent for the airport pickup and drop-off. For cheaper rates, book at least a week in advance online, but do remember that the cost of insurance is not included in the quoted rates, and they will cause the total cost to skyrocket. Note that it might take quite a while to fill out all the required paperwork for a rental—the process is not as automated as it is in the U.S. Don't expect to be in and out quickly. Before you drive off, be sure to look over the vehicle. Make note of every scratch on the exterior and ever tear on the interior before you drive away, ideally with photographs; test the headlights and windshield wipers; make sure there's a gas cap; and verify that there are two license plates, and that they match your rental paperwork. It's best to perform these checks with an agent watching—you might be nickel-and-dimed for any slight imperfections on the car upon your return, even if you weren't the one responsible for them. While a limited number of U.S.–based insurance policies, including some credit card plans, do cover collisions in Mexico, many don't cover liability. If you're covered by your insurance plan and choose to turn down liability coverage, a $2,500 hold will be placed on your credit card. We recommend buying Mexican insurance at the rental counter because if you're caught without the proper insurance after an accident, you might end up paying extremely high fines or even serving jail time. As mentioned, quoted car rental rates don't include insurance, which can end up doubling or tripling the total cost. 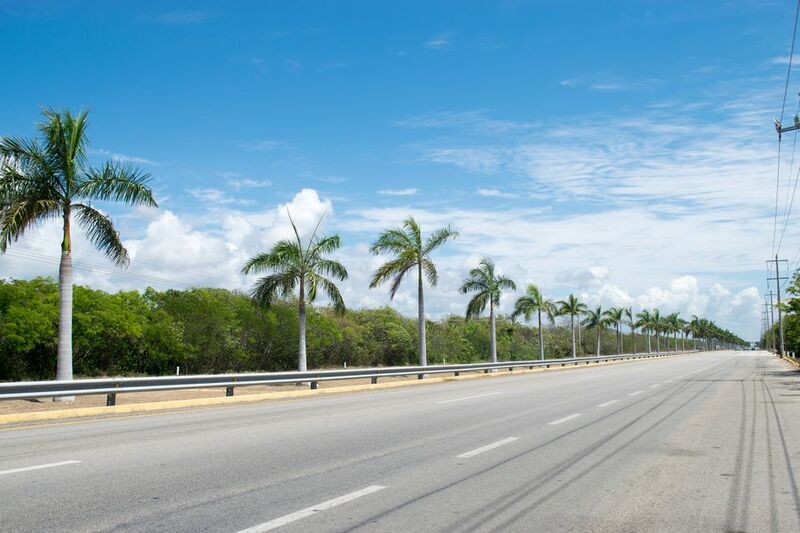 Driving in Mexico is quite similar to driving in the U.S., but it's best to read up on the topic beforehand to make sure you're prepared for any minor differences. Drive on the conservative side—tourists are often under more intense scrutiny by police officers than locals. Even minor traffic infractions could lead to a ticket. Avoid driving in heavy rain, as road maintenance can be limited. At some major intersections, you can mistakenly be diverted onto a parallel side road which can be hazardous after dark. Watch out for people on bikes or people walking with farm animals. Watch out for the topes (sharp speed bumps on town roads). The rental agency will provide a 24-hour, toll-free helpline. Since U.S. cell phones often can't dial Mexican toll-free numbers, be sure you have a local number as well. While on the road, bring a copy of all rental documents, especially insurance forms, plus copies of your passport and driver's license. While many tourists don't encounter scams when renting a car in Mexico, there are some common ones to be aware of—knowledge is key in preventing yourself from getting caught up in one. If you booked online in U.S. dollars, the rental agency might charge you in pesos upon arrival—at an unfavorable exchange rate. If possible, make your reservation in pesos, then print out the confirmation and show it when you pick up your car to be sure they don't charge you a higher rate. Some corrupt police officers may target tourists for mordidas, or bribes. Though it's technically illegal to bribe officers in Mexico, the practice does occur. Officers will pull over tourists—often on the road to the airport—and demand that they pay a fine for a ticket, even if the driver was obeying all traffic laws. It's somewhat common to be scammed at gas stations in Mexico. It's advisable to pay by cash, as attendants might tell you your card isn't working and demand cash, even if the charge did go through. Also, specify exactly how much gas you want—make sure the attendant zeroed out the meter instead of charging you on top of the last customer's fill, and keep an eye on the meter as it rises. Additionally, when you pay, hand over each bill and state its value, as some attendants might claim you paid with a 50 pesos bill instead of a 500 pesos one.